You'll visit kid-friendly attractions like Parque das Aves Bird Park and Vale dos Dinossauros. And it doesn't end there: admire the sheer force of Iguazu Falls, snap pictures at Ponte Internacional da Amizade, take in the spiritual surroundings of Mosque of Omar Ibn Al-Khattab, and see the interesting displays at Dreamland Foz. 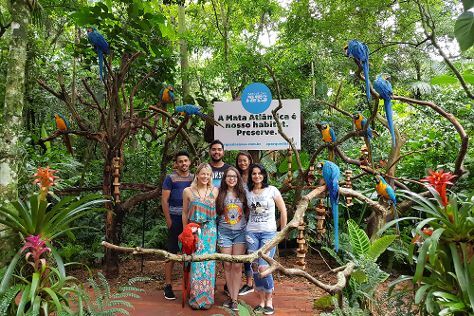 For more things to do, ratings, other places to visit, and more tourist information, read our Foz do Iguacu trip itinerary maker . In May, daily temperatures in Foz do Iguacu can reach 26°C, while at night they dip to 16°C. Wrap up your sightseeing on the 3rd (Mon) early enough to travel back home.